If you take a trip to Savile Row and visit a traditional tailors, you are often presented with three choices; ready to wear, made to measure and bespoke. Savile Row will not be an option for many individuals. Those who are fortunate enough to sample the delights of peerless tailoring will appreciate the finest fabrics, cut, sewn and pressed without compromise. “Ready to wear” is the entry point to this world of sartorial excellence. Suits are presented in an array of sizes. The only form of personalisation is the trouser length, finished to suit and with a choice of buttons to indulge the whim of the wearer. For those gentlemen blessed with a regular physique, there is a rationale to “ready to wear”. There is no need to wait and the price is more accessible than “made to measure” or “bespoke”. “Made to measure” affords the purchaser greater opportunity for personalisation. Numerous measurements are taken and a suitable pattern is selected from those already in the archive. Lapel width, number and types of pocket, trousers with or without cuff, the list of options is endless. It costs more than “ready to wear” but is more affordable than bespoke. Bespoke is the ultimate expression of satisfying individual needs. A greater number of measurements are taken. A pattern is made which is specific to the individual. Every slight anatomical idiosyncrasy is sympathetically appraised and concealed. Bespoke is the epitome of sartorial savoir faire. 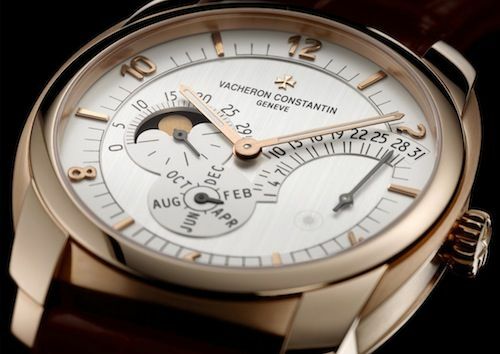 Vacheron Constantin have adopted a similar approach to high-end watchmaking. The majority of timepieces available from the historic Genevan brand are “ready to wear”. This should not be misconstrued as low-cost. 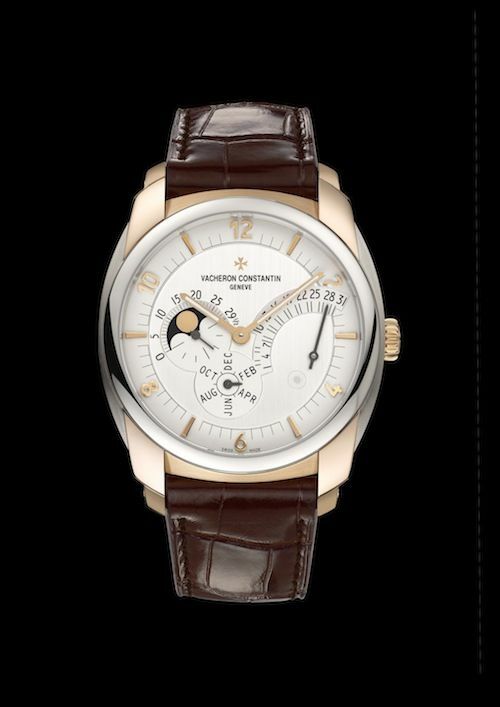 Indeed, quite the contrary, Vacheron Constantin make some of the finest timepieces in existence. 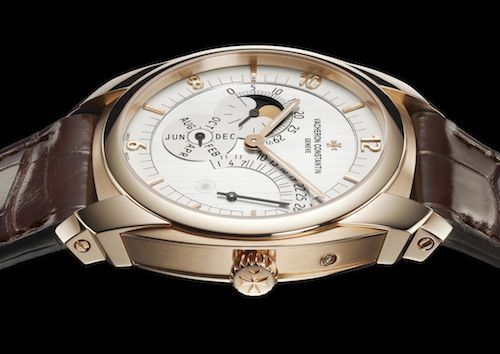 The Patrimony Traditionnelle Calibre 2755 is a personal favourite. Whilst it forms part of “Les Collection”, this is not mass manufacturing as Henry Ford would know it. This is limited production of haute horology. The extensive array of models within the Vacheron Constantin range will meet the needs, or rather wants of the majority of discerning purchasers. Nevertheless, there is a desire for bespoke. A ‘one-off” piece, made to indulge every wish and desire of the affluent connoisseur. This is the pinnacle of personalisation. A choice so rarified, it is beyond the comprehension of the ordinary man. Vacheron Constantin have always offered the monied, the bountiful beauty of bespoke. “Atelier Cabinotiers Special Order” is the exclusive preserve of the fortunate few. Client confidentiality is held in high regard. No careless talk betrays a confidence. The special department can trace its origins to the “atelier Cabinotier” where Jean-Marc Vacheron received customers back in 1755. In 2008, Vacheron Constantin revealed a third way, up to now only familiar to those of us who admire Savile Row, “made to measure”. This came about with the launch of the Quai de l’ile range. Ironically it is named after the address of the original “atelier Cabinotier” in central Geneva. The purchaser can configure their watch online courtesy of the brand’s website. The visitor to the website can choose the case material, the bezel, the flanks, the crown, the dial type, strap and the hue of the deployant. Moreover, the watch can be further customised with engraving on the caseback. Initially, there were two models at launch, Quai de l’ile Day-Date and Power Reserve and Quai de l’ile Date Self-winding. 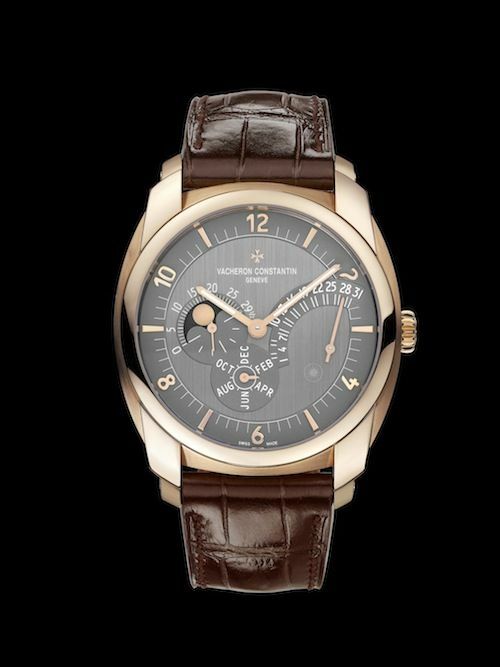 However, the model which offers the greatest appeal for me was launched at SIHH 2011, the Vacheron Constantin Quai de l’ile Retrograde Annual Calendar. With three models in the range and numerous options to choose from the would-be buyer is presented with 700 permutations to peruse. My preference may be a little conservative for some, considering the vast choice available, but rose gold for all metal components and the “full / light” dial is peerlessly pretty. Some of the other models within the Quai de l’ile are available with a sapphire crystal dial. However, this is unavailable on the Retrograde Annual Calendar. Whilst I appreciate the facility to view the movement from the dial side of the watch, I must confess I find it a little difficult to read this type of dial. This is probably more a function of my age where deteriorating eyesight means legibility has to be high on my agenda. I would have to select the full / light option every time. It is elegant, clear to read and perfectly blends with the pink gold of my preferred model. Pink gold hands, lined with white luminous material, gracefully depict the hours and minutes. The gold applied numerals and indices are chamfered, sloping downwards towards the centre of the dial and guiding the eye towards the information presented. Arabic numerals are used for the even numbered hours and elegant batons indicate the hourly integers in between. At 3 o’clock, a retrograde date display is presented, arcing in a clockwise direction. The usual date display exampled on many fine watches, visible through an aperture, is usurped by the spectacle of the grey hand jumping back to “1” on the first day of each month. 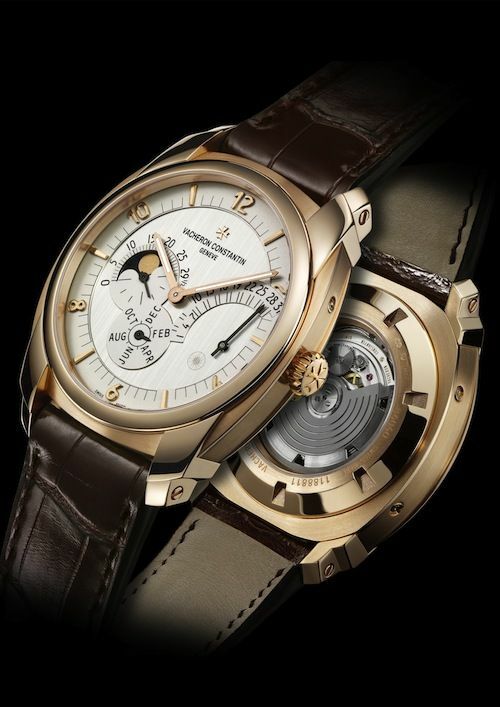 Vacheron Constantin are masters of the retrograde display and this model reinforces this reputation. Between 6 o’clock and 7 o’clock a subdial resides, imparting the month. Simple in presentation its brevity makes interpretation user-friendly. At 9 o’ clock a lithe hand eloquently exhibits the subsidiary seconds. Moreover, a moon phase display is pleasingly presented. There are some details which may be overlooked by the casual observer. But, examine the dial closely and it reveals delightful details, reminiscent of the lines and birthmarks of your one true love, only observed with growing familiarity. The central zone of the dial is satin-brushed, with vertical lines running from north to south. An opaline finish is applied to the perimeter of the dial as well as the month and date indications. Adjacent 4 o’clock is a small sun shaped motif, similar to the symbol atop the Tour de l’ile opposite the Vacheron Constantin Boutique, 7 Quai de I’ile . Place the motif under an ultraviolet light and it shines with retina detaching brilliance. Introduced as an anti- counterfeiting measure, it provides a subtle secret shared between the brand and the wearer. The numerous possibilities to personalise the case are stupefying. The character of the watch can be tailored to sit with one’s own personality. Modernity is provided with the contemporary case. Introverts may seek white gold and extroverts could choose pink gold. The truly avant garde may favour a combination of both noble metals. I particularly like the way the strap meets the horns. It appears neatly integrated into the case, with little daylight peeping through. This looks like a purposeful union which no man could readily put asunder. The crown bears the Maltese Cross on its vertical flank. Those of artistic temperament will be pleased to know, the choice of finish can be personalised by the buyer. The caseback is screwed-down. Space is provided for the potential purchaser to specify text for engraving on the back, up to a maximum of 25 characters. Nevertheless, it is the sapphire crystal located centre stage which is the key aspect of the case back to me. It allows the wearer to feast their eyes on the magnificent movement within. 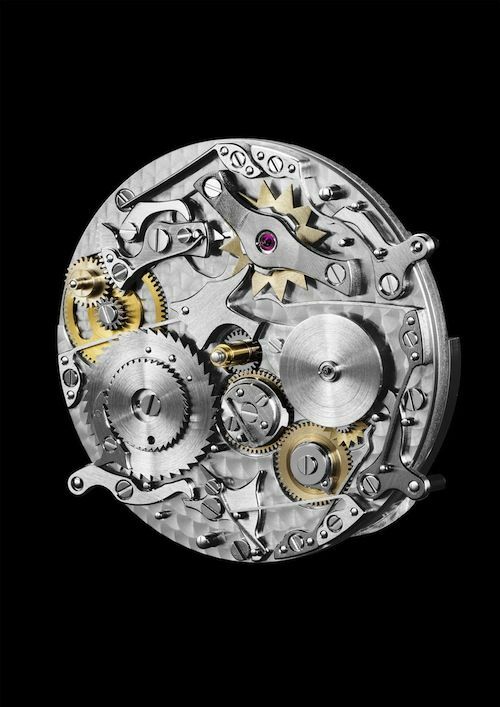 The calibre 2460 QRA was developed and manufactured by Vacheron Constantin. It is stamped with the Poinçon de Genève and is testament to the exacting standards practised at the manufacture in Plan-les-Ouates, a suburb of Geneva. A self-winding movement provides convenience for the wearer, especially those of forgetful nature who sometimes struggle with manual-wind timepieces. An annual calendar is a useful complication. It makes allowance for the varying lengths of each month, save for February which does necessitate adjustment by the wearer. I have always been drawn to the fine finishing evidenced with many models from Vacheron Constantin and the calibre 2460 QRA is yet a further example of top-flight horology. Côtes de Genève is superbly presented on the bridges. The hand bevelling, perlage on the mainplate and black polishing indulge my thirst for horological perfection. Stop and admire the polished screws, their slots are blemish free. Look at the jewels, their sinks are also polished. Expedience is absent, only patient endeavour will do. There is only one area which does not appeal to my only personal taste with this watch and that is the ruthenium finished rotor. It is marked with five fillets and presented in a grey coloured hue. 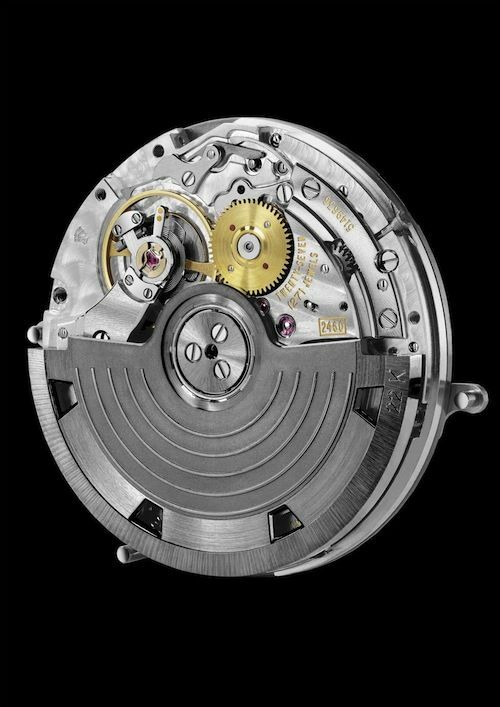 I accept the desired persona of the watch is neoteric, but I just wished Vacheron Constantin could have presented the rotor in its naked 22-carat form. Furthermore, if the rotor had been skeletonised, then I could have seen more of the beautiful finishing beneath. This opinion, highlights the key raison d’etre for the existence of the Quai de l’ile. We do not all share the same opinions or tastes. Some will love the stealth-like character of the dark coloured rotor, others may share my point of view. Those with a greater artistic temperament will mourn my lack of imagination at selecting the full pink gold ensemble. But, this is a watch I could wear. A timepiece I would dearly love to own. I first met its acquaintance on the wrist of my host from Vacheron Constantin at SIHH 2012 and I have vowed to write about this watch ever since. It would meet my needs and wants very well. I could always seek absolute perfection, having my preferred rotor and possibly a minute repeater for good measure. That option is available from Vacheron Constantin if I chose to commission a bespoke piece from “Atelier Cabinotiers Special Order”. Sadly, my finite budget will not stretch to this ultimate expression of personal taste and opinion. Made to measure is a wonderful indulgence for those with personal preferences. The Vacheron Constantin Quai de l’ile Retrograde Annual Calendar provides a more readily accessible path to meeting individual requirements. Watch Brand Ambassadors – Does It Work?